The evil sorcerer Sumahtrid attempts to kill Boaz and recapture Princess Ruth. Ruth awoke at the first hint of dawn, not believing the dizzying events of the previous day: the unwelcome reception by the people of Bethlehem, the grueling and unfamiliar work of gleaning in the fields, Boaz’s kindness, her capture by Sumahtrid and, most surprisingly, her rescue by Ehud – her father’s murderer. Ehud was a mystery to her. Boaz, however, was a different story. Him she looked forward to seeing. She grabbed her walking stick and her sack and set out into the main street of Bethlehem, leaving a still-sleeping Naomi behind. Other residents joined the stream of people heading towards the gate of Bethlehem and to the fields beyond. They left the protective walls of the city and walked on the road amongst the harvested fields. Ruth felt a hand touch her buttock. Instinctively, she slapped the hand with her walking stick. “Ow!” a young man yelped, accompanied by the giggling of others. Ruth kept on walking. Another hand reached for her buttock. Ruth slammed the hand hard with her stick. “Hey! That hurt!” the owner of the hand cried, and faded into the threatening crowd of men around Ruth. The giggling got louder. Women in the crowd walked as if nothing was occurring. Older men smirked at the younger men’s antics. Ruth sensed a third hand approaching. She smashed her stick onto the hand with all her might. The faceless hand went limp as a cry of pain stopped the procession. People moved away from the injured man, revealing a muscular youth seething in anger. “Moabite,” the youth spat as he held his broken hand. “Moabite,” the crowd agreed, mirroring his disdain and anger. “I will make you regret the day you came to Bethlehem, heathen woman – and I will enjoy it.” The youth stepped closer to Ruth. Ruth slammed her stick between the youth’s legs. He doubled over in pain. Ruth smashed her stick on his head, knocking him to the floor. She pivoted with her outstretched stick, forming a complete circle, eyeing every man that looked at her. “The next man that touches me will get the same treatment,” Ruth promised. “I am not some helpless waif, waiting to be molested by your sick appetites. I am a daughter of warriors and kings and you would do well to fear my wrath. Does anyone else require a lesson?” Ruth waved her stick. In response, the men looked down and continued walking. The entire crowd moved forward, the old men looking aghast and the women smiling. “And how are you paying for it, old woman? I heard you were broke and fallen from your riches.” The young carpenter did not look up from his work. The carpenter looked up at Naomi apprehensively. “Will the wood of this wagon and the tools in it suffice?” Naomi pointed at the Moabite wagon. Avtzan put down his plank, walked to the wagon, inspected its contents and nodded. “I’ll work on it right away,” Avtzan said as he took the tools, weapons and chains out of the wagon. “There are dangerous men about.” Ehud intercepted Boaz at the gate of Bethlehem. They walked side by side to fields with the rising sun; Boaz with his walking stick and Ehud with his sword. “More dangerous than usual?” Boaz asked. “I see her in the field gleaning already.” Boaz pointed as they approached his land. “At lunchtime it would be best to make your apology. God be with you!” Boaz greeted his laborers. “May God bless you!” the workers chanted in unison. The sun sparkled and the grain shone for a moment at the mention of God’s name. “Boaz.” Beor pointed his sword at the old man standing with Ehud by the watchman’s house. The stalks all around Sumahtrid rustled violently. The barley clumped together and took on form. They grew to a man’s height and width. Two arms grew out of the clump, followed by a faceless head, and then two legs differentiated themselves below the torso of grain. Two dozen men of barley stood above their shorter cousins in their field of birth, around the chanting sorcerer. Beor looked in wonder at the men of straw and ran with sword extended towards an aghast Boaz. The army of straw men followed Beor towards Boaz and Ehud. Boaz’s young men, sickles in hand, ran to intercept the walking stalks. Ehud stood in front of Boaz and prepared for Beor’s attack. Beor feigned a thrust towards Ehud, but then somersaulted over the blacksmith’s head, landing in front of Boaz. A dozen stalks surrounded Ehud with more approaching quickly. Ehud beheaded one of the stalks, but the stalk kept moving. Boaz’s men attacked the other stalks, cutting their heads and arms with their sickles, but to no avail. The stalks pressed themselves against Ehud, locking him in a cage of barley. Meanwhile, Beor attacked Boaz. Beor stabbed, but Boaz merely stepped out of the way, rapping Beor on his head with the walking stick. Beor responded with another slash that Boaz turned aside with his stick. “Young man, that is quite rude,” Boaz said. “Dead!” Beor repeated with glee and attacked Boaz with wild abandon. Most of the women fled the field. Ruth followed the men to assist Boaz and Ehud. “Not so fast, princess.” Sumahtrid grabbed Ruth from behind. “Yaalu shibboleth, yaalu,” he said under his breath. “We were interrupted from our planned excursion last night. “Yaalu shibboleth, yaalu.” He repeated, not taking his eyes off the walking stalks. “Oh, God! Help!” Ruth yelled as she struggled against the strong sorcerer. The sorcerer visibly weakened when she said ‘God’ and the walking stalks froze for a moment. Boaz’s men hacked at the straw legs. The men of barley fell, giving Ehud a short respite, but the legs quickly regenerated and the straw men were up again, suffocating the life out of Ehud. “Yaalu shibboleth, yaalu.” Sumahtrid chanted as he backed away from the field with the resisting princess. “God!” Ruth yelled, testing her theory. Sumahtrid doubled over as if he had been punched. The stalks froze for a moment. “Yaalu shibboleth, yaalu.” Sumahtrid repeated forcefully, giving new life to the stalks. Boaz weaved and twisted away from Beor’s sword. He closed his eyes to call on his old power, on Isaac’s Sight. He saw the red aura of the swordsman in front of him. The swordsman was a child in a man’s body: a simpleton who had been trained to kill from a young age, a slave who knew no other life other than to obey the commands of his evil master. Boaz saw the aura of Ehud a few feet in front of him. Ehud’s aura glowed like the sun, yet he was now struggling for his life. Boaz’s men had a spectrum of auras. Blue bravery mixed with yellow fear. Some even had a red bloodlust excited by the fighting. Then he perceived the auras of Ruth and the sorcerer. The sorcerer had a black aura. A deep dark hole that sucked in any good it touched. The man was the most evil person Boaz remembered seeing in many years. But Ruth! Ruth shone: a white light of purity, of strength, of nobility that he rarely encountered. She reminded Boaz of his beloved Vered – such a strong and good spirit. “May God bless you!” the men answered automatically. The stalks all froze. Ehud gasped for air. A moment later, the stalks resumed crushing the blacksmith. “God be with you!” Boaz cried again. “May God bless you! !” the men shouted, having seen the effect. Several of the stalks disintegrated. Ehud’s sword arm was free and he was able to breathe again. He sliced a stalk in half. A dozen stalks remained, closing in on Ehud again. “God be with you!” Boaz yelled. “MAY GOD BLESS YOU!!! The men screamed with all their might. All the remaining men of barley exploded into simple individual stalks, spraying harvested barley into the air. Beor disengaged from Boaz and ran towards Sumahtrid, stabbing two surprised workers on the way. Sumahtrid handed a limp Ruth to Beor. Beor hoisted her over his shoulder and together with Sumahtrid ran to the road. A merchant approached them on a wagon filled with cabbage. Sumahtrid and Beor stood in the middle of the road, stopping the merchant. Sumahtrid pulled the merchant out of the wagon and threw him roughly unto the road. Beor dumped Ruth onto the bed of cabbage and took the reins. Sumahtrid and Beor were quickly out of sight, with the Moabite princess sleeping on heads of cabbage. 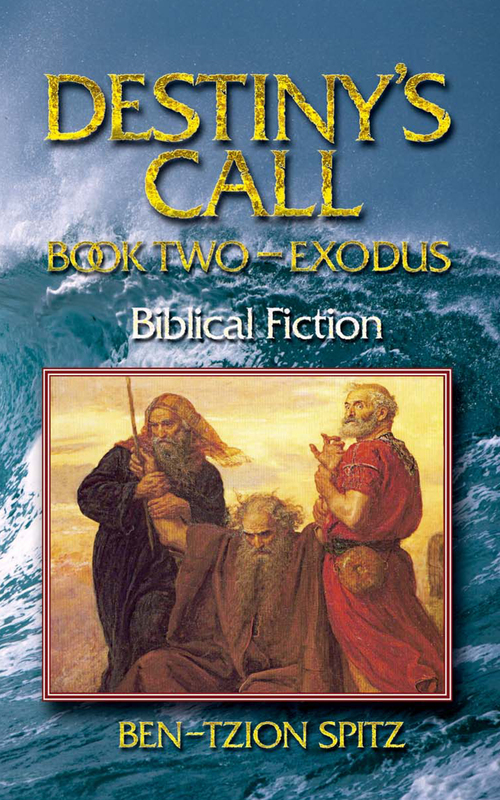 Boaz and Ehud watched in frustration as they escaped, but stopped to deal with the wounded men. 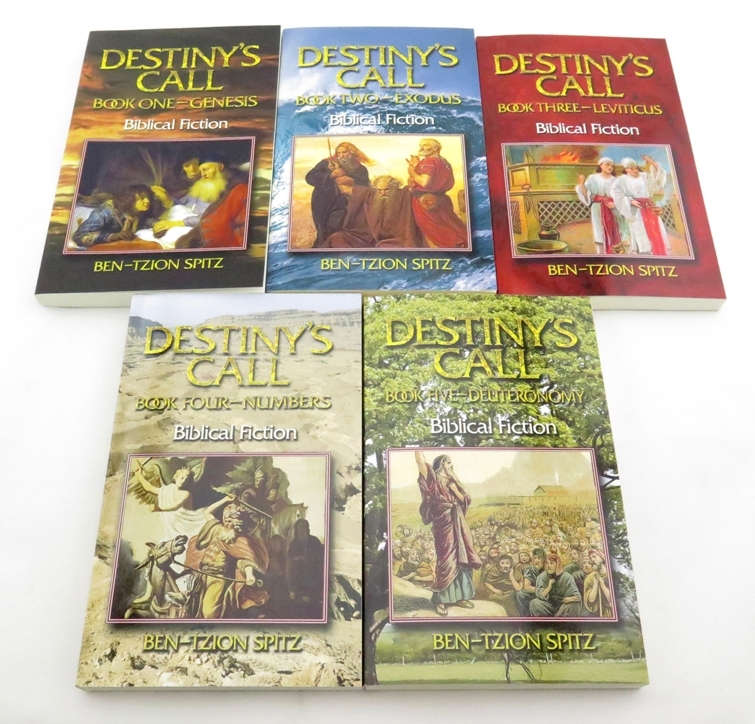 “We need to get them to the healer, now!” Boaz said as he ripped part of his tunic. He placed the fabric on the men’s wounds, stemming the flow of blood. “What about the princess?” Ehud asked, helping Boaz bandage the men. Ruth felt a soft but firm bed underneath her. A smooth blanket covered her. A pleasant breeze entered the room. The wind tasted of salt. She heard the lap of waves in the distance. She hadn’t been this comfortable since the days in her father’s palace in the City of Palms. Was it all some evil dream? Was she still the innocent and pampered princess, daughter of Eglon the Tyrant? Ruth feared opening her eyes, feared returning to reality. Her head throbbed where Sumahtrid had hit her. It was true, she thought. Tears came unbidden to her eyes. It’s all true. It all really happened. This nightmare. But where am I? Curiosity overtook her fears and she opened her eyes.